Pharmacy cabinets are built using 3/4" MDF in white color. All Rx cabinets measure 24" wide x 24" deep x 38" high, including a 5" high black toe kick. 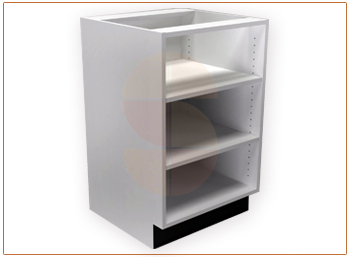 The open cabinet has two adjustable shelves for storing miscellaneous pharmacy supplies. Ask us about custom countertops for your pharmacy.